Chances are there have been times where you’ve purchased bananas for snacking or smoothies and they’ve over-ripened before you could eat them. Instead of a simple banana bread recipe, why not try spicing it up a bit and adding some additional tasty ingredients. If you love blueberries and chocolate, you’re gonna want to try out this recipe. Preheat your oven to 350 degrees F (which is about 176 degrees C) and grease a 9 x 5 inch bread loaf pan. Add the salt, cinnamon and the flour and mix. Fold the blueberries and chocolate chips in and mix. Once you’ve prepared the batter, pour it into the pan and place it in the oven for 55 minutes. Once the timer goes off, bring it out and test it with a toothpick or butter knife….if it comes out clean it’s ready, if not and a lot of batter comes out, put it back in for another 5-10 minutes. While it seems like there are a lot of ingredients in this recipe, if you bake every now and then, you will most likely have many of them already. This is actually a fairly quick recipe to prepare and once it’s ready it’s super tasty! Try it out and let us know how it goes in the comments. 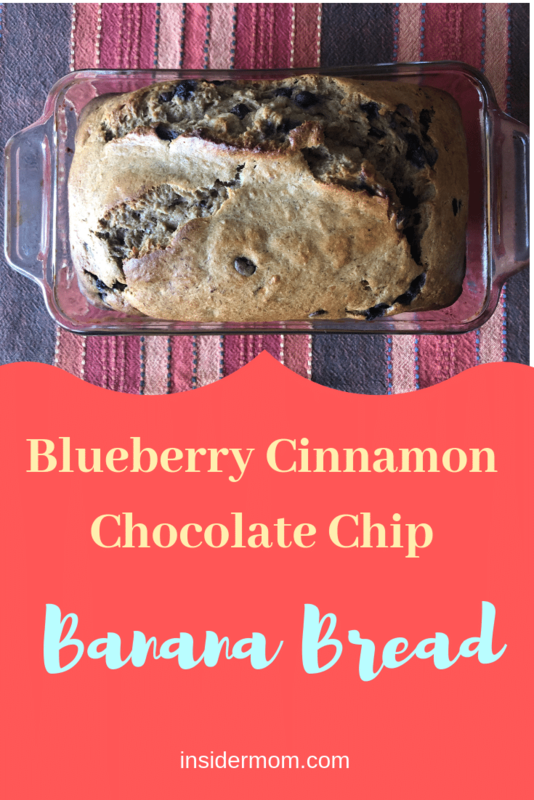 Are there any banana bread recipes you use? What are your favourite additional ingredients to add?